Rapid, safe and clean deburring or edge rounding of sheet parts is a demand in sheet metal processing today. Our deburring discs series have been additionally developed for the “deburring” process and can be individually configured depending on the respective application. We would be pleased to advise you on which deburring discs can be used in your processing, in order to attain top process results. The intelligent clamping system enables the user to mount and position the deburring disc FAPI-150 easily on the deburring machine. Due to the selection of various densities, filling lengths, types of abrasive cloth and abrasive fleece, it is possible to have a decisive influence over the deburring process. The optimum design of the deburring disc FAPI-150 can be determined based on the process parameters dry or wet grinding, the material being processed, the material thickness and the desired surface quality or the desired surface roughness. 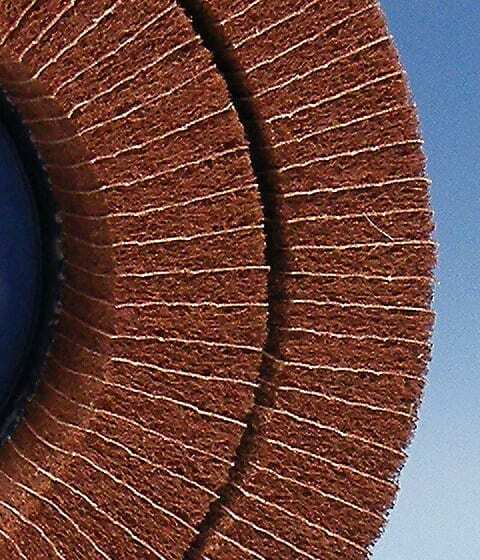 The rougher the chosen grain of the deburring disc FAPI-150, the stronger the edge rounding on the workpiece would be. 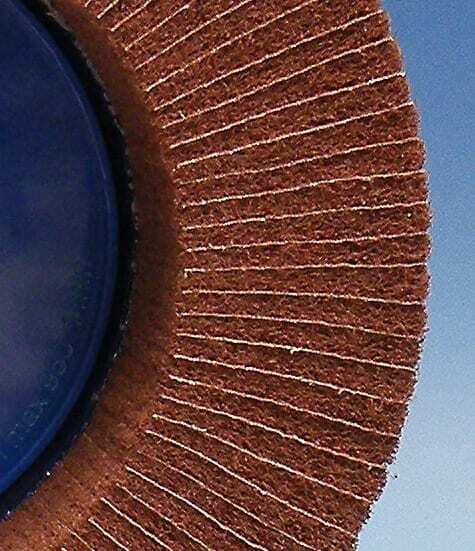 The deburring disc FAPI-150 has abrasive cloth lamellae on the front side, which are supported by abrasive fleece lamellae. 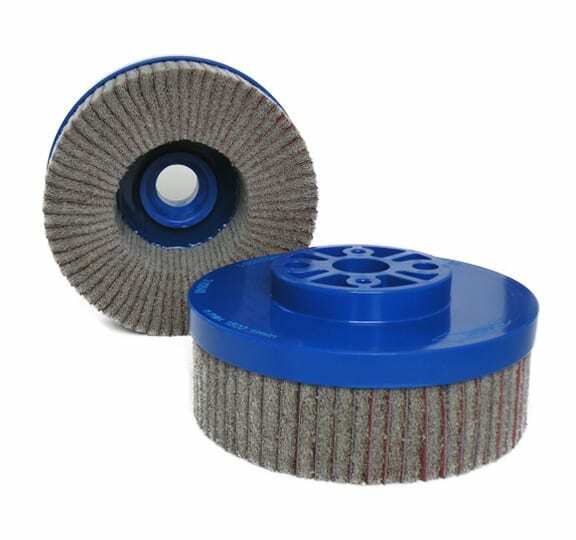 By specially adjusting the lamellae it is possible to produce the deburring disc FAPI-150 individually according to the respective processing. Without exception, all Picard tools and naturally also our deburring discs series are made in Germany. High quality and optically outstanding grinding tools are the results of our production and you, as our customer, benefit from this. Picard Green(Standard fleece) | Soft fleece! Picard Brown(Standard fleece) | Allrounder! Picard Dark Grey (Special Fleece) | Smooth and fine! Picard Blue (Special fleece) | Self-sharping! Picard Violet(Special fleece) | High-grade! Picard Yellow(Special fleece) wet & dry | Versatility! Wet and dry! Picard Maroon(Special fleece) | 1st in high stock removal! Picard Sand(Special fleece) | Cut and polish! Picard Grey(Special fleece) | Sharp grit! Picard Red(Special fleece) | Rough and strong! Picard Dark Blue(Special fleece) | Wide and flexible! Picard Black(Special fleece) | The water-resistant! The deburring result can be decisively influenced by further optimisation of the setting arrangement as a double row or Y variant. Why the different stock arrangements? The single row trimming is our standard version. Here we can influence the hardness or flexibility as well as the stock removal rate by using different non-woven abrasive variants in combination with abrasive cloth. With our Y-version the fill is evenly compacted. 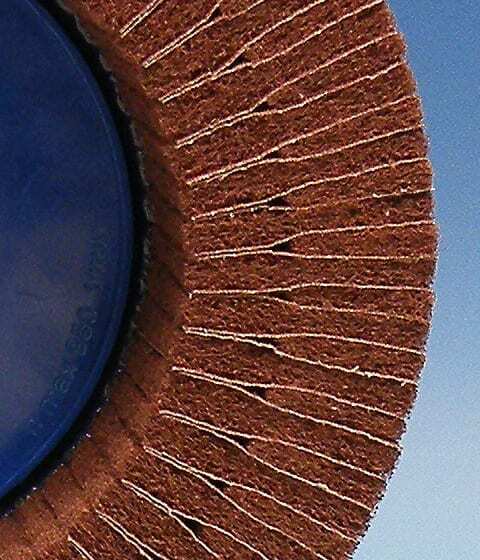 Here the fill material is evenly distributed on the outer circumference and towards the centre of the deburring disc. This arrangement enables a higher removal rate to be achieved, as the fill can then be better adapted to contour-rich cut-outs. The double-row version is the variant with the highest flexibility. By dividing the fill width, the fill can adapt even better to the edge and thus also deburr smaller cut-outs better. The fill hardness can also be adjusted by using our grinding fleece variants. Once the sheet metal has been stamped, flame cut, lasered or cut with a water jet, at least one burr appears in the cutting area. This can be optimally removed with the aid of the deburring disc FAPI-150. This deburring or edge rounding grinding of sheet metal is carried out on automatic, stationary deburring machines (for example Bütfering, Löwer or Gecam- deburring machines).